There are multiple ways to back up your WordPress website. Below we cover multiple WordPress backup plugins (along with WordPress.org and installation links) and server backup methods. Note: Plugins are ordered from most to least active installations as of September 2018. Note: Per Terms of Service under Data Backup, InMotion Hosting maintains, as a convenience to its clients, regular automated data backups on accounts equal to or less than 10 gigabytes in total size. This service is included only with Business Class or Virtual Private Server hosting accounts and is provided at no additional charge. Hosting accounts greater than 10 gigabytes in size will not be included in regular data backups; this service is, however, available for an additional service charge for accounts exceeding the 10 gigabyte size limit. While InMotion Hosting does maintain backups, this service is provided as a convenience only and InMotion Hosting assumes no liability as to the availability or completeness of client data backups. Each client is expected and encouraged to maintain backup copies of their own data. If you need assistance restoring from a backup, you can submit a data restoration request (DRR) via AMP along with any details regarding your request. If applicable, you can also request to freeze backups, ensuring the backup isn't overwritten. However, you'll need to request backups continue post-data restoration, as they won't auto-resume. UpdraftPlus backs up to external locations, restores backups, email reports and more from with your WordPress dashboard. Get started with our installation guide. ManageWP connects unlimited websites to a ManageWP.com dashboard allowing team and client collaboration. It includes bulk updates, client reports, Sucuri security scans, Google Analytics, and more. BackWPup allows you to specify multiple backup locations, types of data to backup, and backup file options - eg. 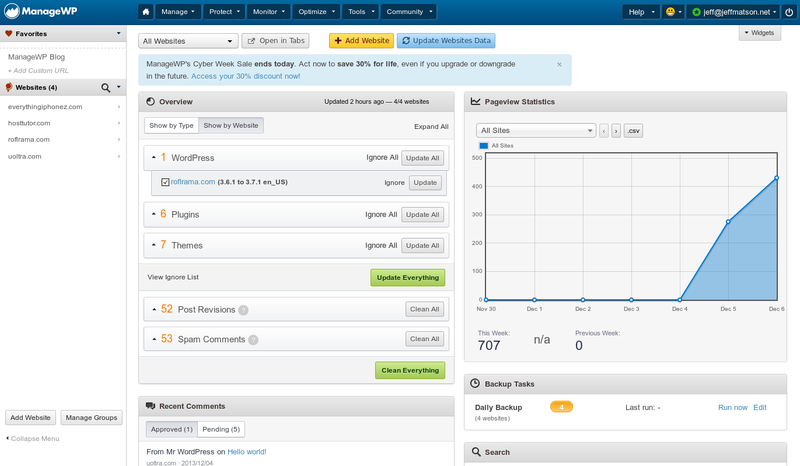 .zip, .gz - and a restoration option from your WordPress dashboard. 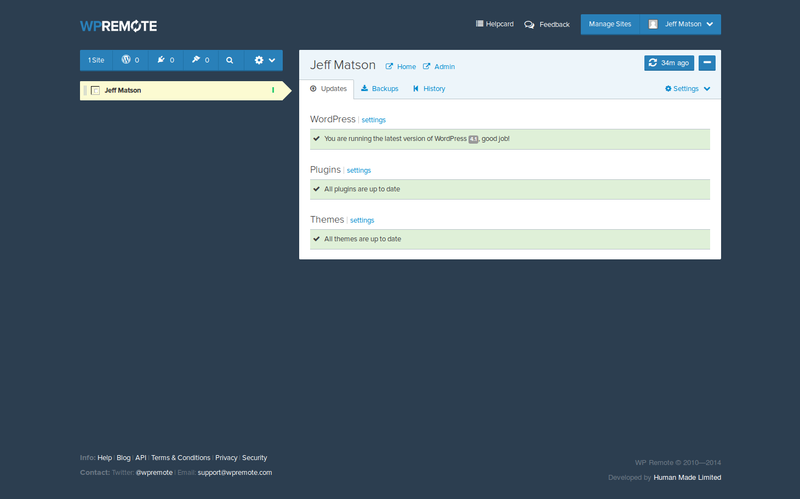 WP-DB-Backup backs up your WordPress website's database tables from the dashboard. Alternatively, there's cPanel partial backups. WP Remote schedules backups for unlimited sites to external locations and updates plugins and themes remotely from WPRemote.com. BoldGrid Backup adds filters to auto-update plugins after scheduled backups and allows backup restorations. We always recommend creating full cPanel backup regularly for archival. 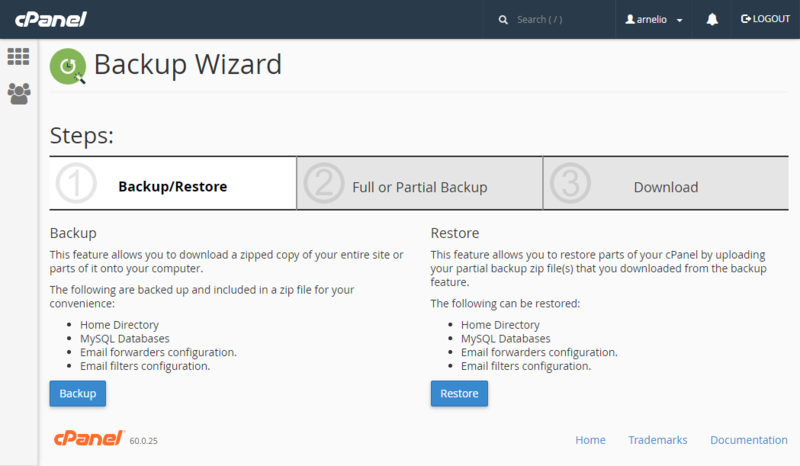 A cPanel backup is a helpful recovery option after being hacked, especially when combined with recommended security plugins. You can also create partial backups of backup websites, databases, and email accounts separately using the Backup Wizard. Ensure you download the completed backups from the server via File Manager or FTP. Within File Manager you can compress files and folders if you only need specific files. You can use software such as WinZip and 7zip to decompress files. VPS users can configure scheduled backups in WHM as root. You can view existing backups via SSH as user root. 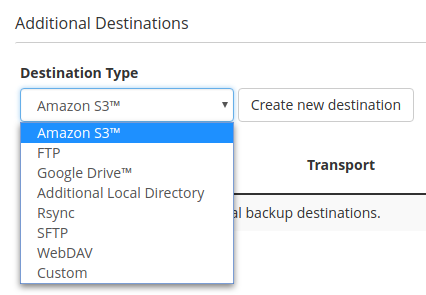 External Backup configuration options include Amazon S3, Google Drive, FTP, Additional Local Directory, Rsync, SFTP, WebDAV, and Custom. VPS users can create snapshots from AMP. Snapshots don't affect VPS disk space but live for only seven days unless you purchase Long-term Storage Slots. 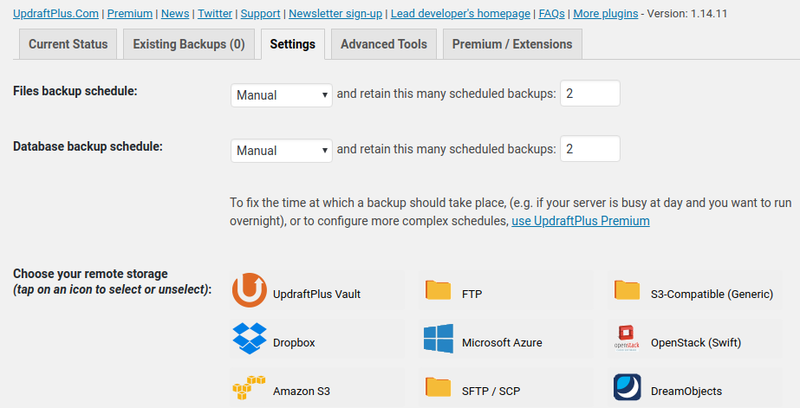 Softaculous backups are available on shared accounts and VPS accounts with the paid subscription. You can manage Softaculous backups via FTP or File Manager in the /softaculous_backups directory or using Softaculous. Security and website optimization implementations are also major parts of disaster recovery. You can contact our live support for an account scan at any time. For enhanced security, consider our recommended security plugins, ClamAV Scanner, and a Sucuri account.